HubSpot also recommends this email subject lines guide, complete with 100 examples we actually clicked. No matter what they say, people do judge emails by their subject lines. In fact, 47% of marketers say they test different email subject lines to optimize their emails' performance. That's why it's so important to craft subject lines that are compelling enough to get people to click through. While they may seem like a small part of your message, they're one of the very first impressions you have on your email recipients. And they're a marketer's ticket for standing out in a crowded inbox. Do you want your email content opened, read, and clicked? It all starts with the subject line. Read on for some tried-and-true tips to help jazz up your subject lines and boost your emails' engagement. There's a phrase that, for many of us, is reminiscent of classic infomercials: "Act now!" And while we wouldn't encourage using that exact language in your content, we do agree that communicating urgency and scarcity in an email subject line can help compel readers to click (or act) -- when phrased creatively and strategically. But because you don't want to be known as "the brand that cried wolf," use these subject lines sparingly, and try to limit them to when the occasion genuinely calls for immediate action. Sometimes, subject lines work because of their ability to send the message, "You will benefit from opening this email." But other times, it's good to maintain some sense of mystery -- especially if it pique's the recipient's natural curiosity and interest. Because they require opening the email to get more information, they can result in, well, a higher open rate. But make sure the subject line, while enigmatic, still aligns with your brand. Too obscure, and it could end up being seen as spam. Here's where that benefit of opening a given email comes in. At the end of the day, people love new things and experiences -- especially when they come free, or at least discounted. Open with that by including it in your subject line. Personally, I'm much more inclined to open my daily newsletters when there's an offer of or allusion "free stuff" directly mentioned in my inbox. No two email subscribers are exactly the same -- and, sometimes, that means the emails you send them shouldn't be, either. At this point in time, marketers have never had more ways to learn about their subscribers' preferences, jobs, or general (dis)likes. So when you send them content, on occasion, make it catered toward the individual. When we subscribe to an email list, much of the time, it's because we want to be kept informed, or at least learn more about a given topic (more on that later). Similar to piquing your audience's curiosity, crafting email subject lines that incorporate trending topics or timely headlines can help you establish your brand as an authority within your industry -- and can compel people to click to read. Let's face it: We all have famous people who, at some point, we presently or previously have admired. And when you understand your audience's preferences and interests, you can pique their interest by including the names of this admired, recognizable individuals by including them in your content -- and mentioning them in your email subject lines. But take heed: This tactic really only works when it aligns with your brand, product, or service, so keep it relevant, rather than just throwing out a recognizable name for the sake of recognition. At risk of sounding like a broken record, here's another place where curiosity comes into play. By front-loading your email subject line with a compelling allusion to a story that the message tells -- but can only be read if opened or clicked -- your audience is like to become intrigued, and want to learn more. Again, make sure the story is relevant to your brand. Otherwise, it might just confuse your readers and prevent them from opening the email. Email subject lines will get cut off if they're too long, particularly on mobile devices. And with up to 77% of email opens taking place on mobile, we recommend using subject lines with fewer than 50 characters to make sure the people scanning your emails read the entire subject line. If you're struggling to keep your subject lines short, think about which words matter less and where you can remove a frivolous detail. For example, if you're sending an order confirmation, doesn't “Your order is being processed” look better than “Order #9435893458358 is being processed"? Same goes for your regular emails: Don't waste your time including the word "update" or "newsletter" in the subject line. Some studies even suggest these words can decrease the message's open rate since it tells readers the email is associated with a series, and therefore they can catch the next one. That name recognition we mentioned earlier doesn't just apply to the famous -- it applies to the familiar. When setting your sender name, be as human as you can. 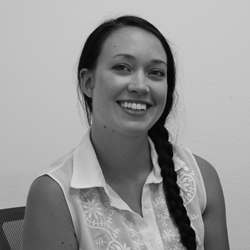 Olivia@yourcompany.com is both inviting and unintimidating to people when they open their inboxes. If you've already met your recipients from a previous conversation, use your own name as the sender's address -- even if the email is technically coming from the company as a whole. The best impression you can make on your customers is that they're working with you, the individual -- not the entire business. "If the 'from' name doesn't sound like it's from someone you want to hear from, it doesn't matter what the subject line is," explains Copy Hacker's Joanna Wiebe. Ultimately, people are busy, and they simply don't bother with you if you don't sound like someone who would make for an easy (or at least friendly) conversation. 3. Avoid the 'no-reply' sender name. Thanks to the amount of spam email people get these days, most people hesitate to open email from unfamiliar senders. And even fewer people like talking to a robot. Think about when you call a company and can't get a hold of an actual person. It's frustrating, right? This goes for email, as well. Never use "noreply@company.com." I repeat: Never use this email address. Not only does it make it look less personable, but it also stops people from adding your email to their address book. Remember the personalization we mentioned earlier? Using personalization tokens -- like name or location -- in the subject line adds a feeling of rapport, especially when it's a name. Everyone loves the sound of their own name. Plus, it increases clickthrough rate: In fact, research has shown that emails that included the first name of the recipient in their subject line had higher click-through rates than emails that did not. That's great personalization and great timing. Another personalization tactic that works is to tailor subject lines to the recipient's location -- things like lists of their respective cities' best outdoor bars and restaurants. Just don't go overboard with the personalization here. That can be a little creepy. But little personalized touches here and there show that you know more about your recipients than just their email address. However, if you can't (or don't want to) use personalization tokens in the subject line, use "you" or "your" so it still sounds like you're addressing them directly. While email blasts that go out to your entire list might be relevant and helpful to some people, it won't be to others -- and could cause confusion or frustration. Why is this restaurant sending me a list of the best local steakhouses when I'm a vegetarian? Why is this company sending me case studies when I just signed up for its email list yesterday? Personalize the experience using information from the actions your customers have already taken -- from which forms they've filled out, to which industries they're in, to what their personal preferences are. In email marketing, you can personalize your recipients' experience using a little thing called list segmentation. How you segment your lists depends on your business and your goals, but you can read this blog post for 27 ideas for how to slice and dice your email lists for better segmentation. 6. Don't make false promises. Your email subject line is making a promise to your reader about what you will deliver in your message. Make sure that you make good on that commitment -- and do not try to get your email opened by making false promises. This will irk your audience, and they'll learn not to trust your subject lines, resulting in a lower open rate and a higher unsubscribe rate. 7. Do tell them what's inside. Speaking of making promises, if your visitor has downloaded an offer and you're delivering it via email, it's a great idea to use a subject line that says something like, “Your new ebook inside!” or, “Your guide awaits!” This works better than a simple “thank you” in the subject line because it makes it clear that something is waiting inside the email. Sending an email at the right time with the right subject line can make a huge difference in open and clickthrough rate. A prime example? When food publication Eater sends at 6:45 P.M. on a Wednesday evening that said, "Where to Drink Beer Right Now" -- just in time for happy hour. Nailed it. Another favorite example of mine is a classic email from Warby Parker with the subject line, "Uh-oh, your prescription is expiring." It was sent two weeks before the recipient needed to renew his prescription. By sending an email at the right time, Warby Parker increased the chances of their email getting opened -- and included a relevant call-to-action about getting a glasses upgrade, too. Keep in mind that people scan their inboxes very quickly -- so the more clear and concise your subject line is, the better. It's usually a lot better to be concise than it is to use complex and flowery language -- unless you're going for an elusive subject tone to entice your recipients. When you're going for a concise subject line, think first about how your email will benefit your recipients. You'll want to make that benefit very clear. For example, "Increase your open rates by 50% today” is more appealing than "How to increase open rates." 10. Start with action-oriented verbs. Subject lines are similar to calls-to-action, in that you want the language to inspire people to click. Subject lines that begin with action verbs tend to be a lot more enticing, and your emails could be drastically more clickable by adding a vibrant verb at the beginning. Actionable subject lines will inspire people to click on your email by instilling urgency and excitement. For example, in an email inviting people to a hockey legend dinner, the email subject line might read, “Dine with Bruins legend Bobby Orr,” rather than a more generic (and less actionable) “Local Boston Sports Legend Meal." The former email uses “Dine” to help the reader envision themselves at a dinner table. 11. Make people feel special. The psychology of exclusivity is a powerful thing. When people feel like they're on the inside, it gives them a sense of belonging that could build loyalty and compel them to convert better on your emails. "For our beloved customers only"
"An exclusive offer for you"
12. Create a sense of importance. There's a phrase that, for many of us, is reminiscent of classic infomercials: "Act now!" And while we wouldn't encourage using that exact language in your content, we do agree that communicating urgency and scarcity in an email subject line can help compel readers to click (or act) -- when phrased creatively and strategically. But because you don't want to be known as "the brand that cried wolf," use these subject lines sparingly, and try to limit them to when the occasion genuinely calls for immediate action. 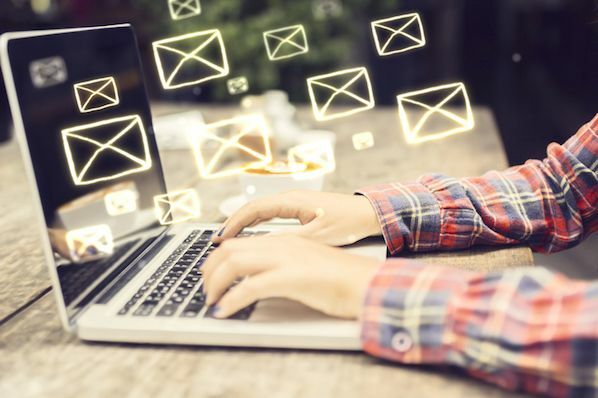 A lot of businesses send emails with vague statements in their subject lines -- which is why using data and numbers is a great way to get your emails noticed, demonstrate a clear and straightforward message about your offer, and set the right expectations. Just like with blog titles, using numbers in your subject line is an effective email marketing best practice. You might use numbers to refer to the title of your listicle, the page length of the offer you're sending, a specific discount, or the numerical benefit of a particular resource you're providing -- like "Join more than 750 others at this event!" 14. Pose a compelling question. Asking a question in your subject line can also draw readers in -- especially if you're asking a question you know is relevant to your recipients' buyer persona. This is just one way to pique that curiosity we mentioned earlier. For example, you might try the following: “Are you making these SEO mistakes?” or “Do you know what your website is doing wrong?" Zillow once sent an email with the subject line, "What Can You Afford?" that linked to a website showing apartments for rent. A subject line like this is both encouraging and a touch competitive: While it gives hope that there are apartments out there that'll fit within your budget, it also pits your cash against what the market offers. Another example comes from DocuSign. They sent an email late in the lead nurturing process, with the subject line, "What are your customers saying?" The body of the email contained a bunch of case studies that were meant to help the recipient move closer to actually purchasing DocuSign. This was a smart move: Folks who are further down the funnel are likely more receptive to hearing customer testimonials. 15. Don't be afraid to get punny. Some of the best punny email subject lines come from JetBlue, with subject lines like, "Land wander-ful low fares now!" Quirky -- a community-led invention platform -- worded one of its email subject lines like this: "Abra-cord-abra! Yeah, we said it." That second part is conversational and self-referential -- and exactly what most people would say after making a really cheesy joke in real life. If you're the least bit punny, think about small ways you can slip them into your emails when it's appropriate. Just don't overdo it. And remember the rule: When in doubt, ask a coworker. 16. DON'T USE ALL CAPS or overuse exclamation points!!! A subject line that says, “OPEN NOW AND RECEIVE A FREE TRIAL” or, "50% off coupon today only!!!!!!!!" isn't going to get your email opened. In fact, it'll probably get your email ignored. Why? People don't like to be yelled at, and using all caps and/or a lot of exclamation points can really rub people the wrong way. In fact, according to a study by the Radicati Group, more than 85% of respondents prefer an all-lowercase subject line to one in all caps. Not only are these tactics disruptive, but they look spammy. 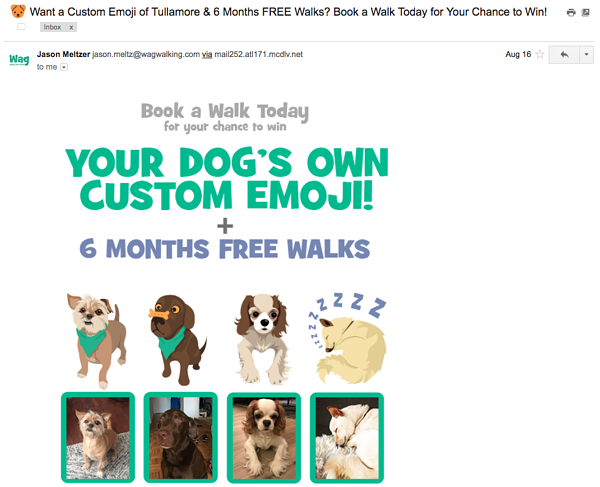 So instead of using disruptive tactics like these to stand out in people's inboxes, try personalizing your emails, establishing relevancy, and using catchy and delightful language. 17. Don't include a question and exclamation in the same subject line. Here's a subject line that can automatically wind up in a recipient's spam folder: "Want a solution fast? Act now!" The fast solution isn't the problem the example above. It's also not “act now” — although those are known email marketing spam words. It's both phrases together. This is a classic email saboteur, and it comes in many forms. All you need is to ask and yell at the same time. The PLING_QUERY rule is a directive by the Apache web server that flags an email as spam if it contains both a question mark and an exclamation mark in the subject line. The example above is a common one. A good solution? Don't do that! Not only is this subject line format overdone, but it's alienating to your audience. Open-ended questions are a show of ignorance; any good marketer knows their leads better than that. 18. Use engaging preview text. While preview text isn't technically part of your subject line, it does appear right near the subject line -- and it certainly deserves your attention. 19. A/B test your subject lines. Although these tips and best practices are a great place to start, what works best for some companies may not work as well for others. It's all about figuring out what works best for your specific audience. That's where A/B testing comes in. While it can be tempting to use your intuition to predict what subject line language will make people click on your emails, you should always A/B test your highest-stakes subject lines, and tweak the wording according to your results. What works best for your audience: Long or short subject lines? Including numbers or not including numbers? Questions or statements? At the end of the day, if your emails aren't getting opened, they're not getting seen. You have great content to share -- now, you have to prove it in your subject line.